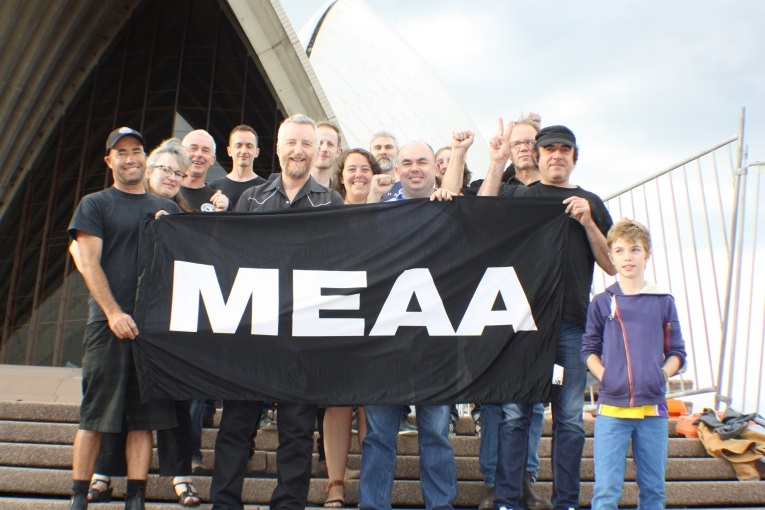 British singer-songwriter and political activist Billy Bragg met with MEAA members in March to show his support for their 'House Proud' campaign. The back and front-of-house staff who work at Australia’s most iconic building have been running the campaign since last year in a bid to protect and improve their pay and conditions. In December they secured a pay rise despite strong resistance from the NSW Government. Bragg and his band members were vocal in their support of the MEAA member and their campaign. Bragg said he hopes his support brings awareness to the fight for dignity and respect at workplaces everywhere.